When looking at yourself in the mirror and/or in photographs, do you often feel your eyes make you appear unrested, exhausted, or even older than you actually are? As we mature, the eyes are typically the first facial features to display symptoms of aging, which usually manifests in the form of skin laxity and drooping, fat displacement and/or protrusion, and minor lines/creases in the upper eyelids. For many individuals, these concerns are often accompanied by puffy bags, dark circles, and crepey skin in the lower eyelids. The good news is that a common procedure referred to as eyelid surgery, or blepharoplasty, can often be employed to help rejuvenate the eyes for a refreshed and revitalized aesthetic. Depending on the patient’s unique needs, eyelid surgery can be performed on the upper lids (upper blepharoplasty), lower lids (lower blepharoplasty), or both eyelids in combination. Key benefits of this treatment are highlighted below. If you are interested in eyelid surgery, we encourage you to consult one of our board certified plastic surgeons, Dr. Lorri Cobbins and Dr. Brian Braithwaite. 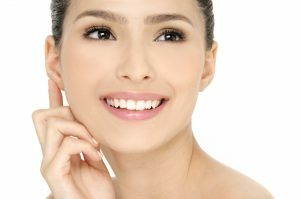 Following an assessment of your aesthetic concerns and desires, they can formulate a treatment plan uniquely tailored to achieve your goals with natural-looking results. To learn more, or if you would like to schedule a consultation with one of our doctors, please contact us today.